Your pets are family. When they get sick, you want to give them the best care available. But many families cannot afford even basic wellness care for their pets. Working with community partners, Ohio State’s Veterinary Outreach Program helps these families and their beloved pets. We keep at-risk animals healthy, letting them live with their owners as long as possible. 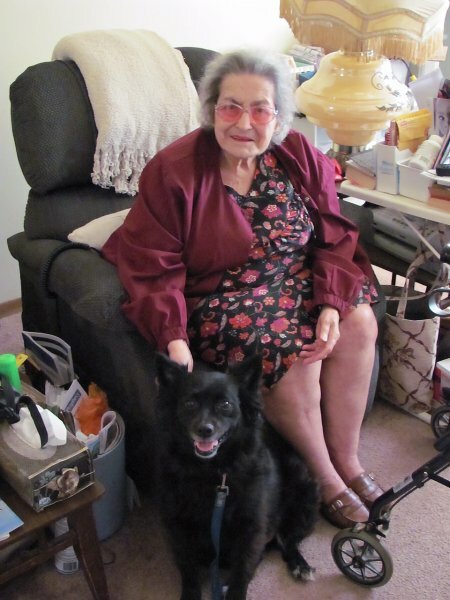 The Veterinary Outreach Program has provided care to more than 1,500 pets owned by low income elderly, disabled or homebound residents in Franklin County. Pets receive wellness care and owners benefit from pet care education and counseling. This community outreach also touches the lives of our students. 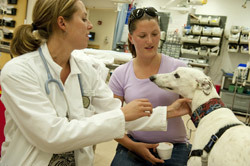 Community Practice and Outreach Medicine is one of the core rotations for the college’s 162 fourth-year veterinary students. Each year, more than 100 of these students choose to participate in the Veterinary Outreach Program as part of this rotation. The experience instills in our students a sense of social responsibility to animals and people in need. 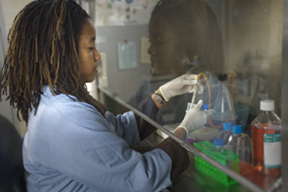 Interacting with diverse populations prepares students for veterinary careers where compassion and interpersonal skills are as essential as medical knowledge. Students discover the powerful bond between pets and their people. For these owners in difficult circumstances, their pets are a lifeline. This has been a valuable program for our community and Ohio State students. Now, the pets, clients and students served by the Veterinary Outreach Program need you. Continue to provide wellness care, vaccinations and medications for animals, at minimal or no cost to the owner. Ohio State is committed to broadening the program’s reach. To connect with underserved pets and people, we will build on our past partnership with Lifecare Alliance and our current collaboration with the Capital Area Humane Society. A dedicated faculty position has been created to oversee Community Practice and Outreach Medicine and guide our students through this lifechanging program. 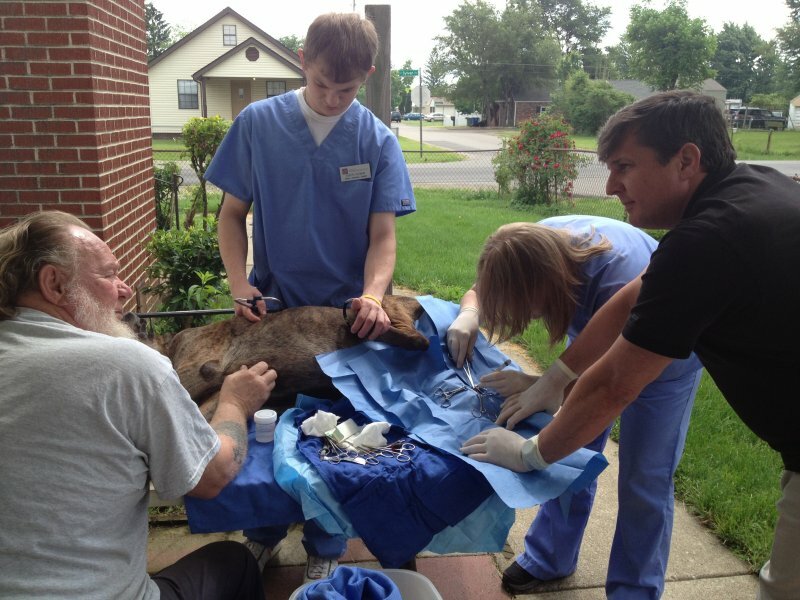 Your support will ensure the future success of the Veterinary Outreach Program. 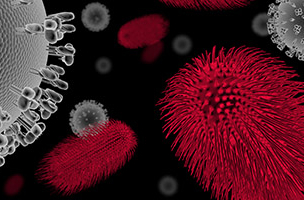 Call 614-688-5588 or visit vet.osu.edu/outreach to learn more. You can make a critical difference for at-risk pets and their families today. Our goal is to keep animals healthy and with their owners as long as possible.